Sioban's Private Cooking School in Cortona. Visit Camucia market, learn to make Tuscan cuisine and enjoy an indulgent feast. Sioban trained with Neil Perry in Sydney and also runs cooking schools at Wildwood Valley in Yallingup, Western Australia. A cooking school is included in our 7 Night Tours. We visit the Camucia market to buy the freshest ingredients. Upon returning to the villa Sioban shares some of her favourite Tuscan recipes, including slow roast meats, beautiful salads, pasta, canapes and dessert. Once the meal is prepared, relax and enjoy the feast while taking in the view of the Cortona hills. 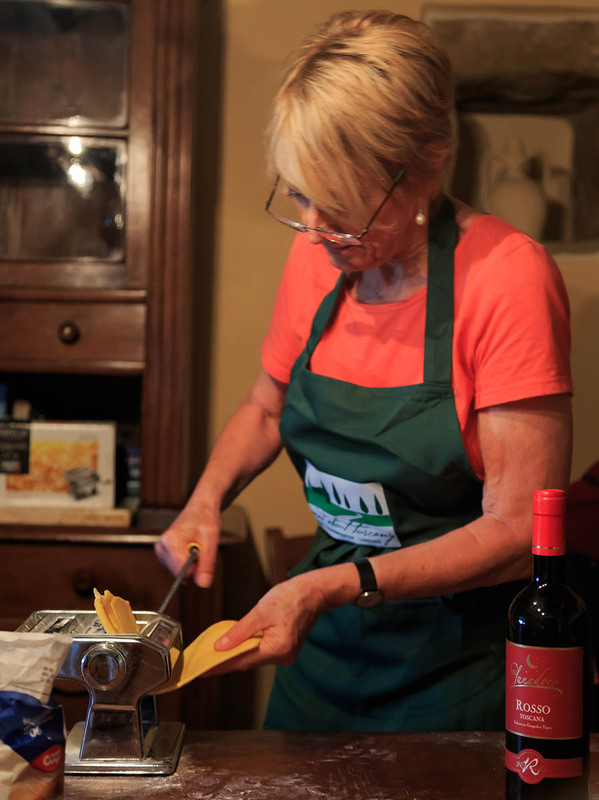 Sioban also offers private cooking schools in your villa in the town of Cortona, Italy. Sioban trained as a chef under Neil Perry and runs popular Tuscan and Thai cooking schools at Wildwood Valley in Yallingup, in the Margaret River wine region of Western Australia. Contact Sioban with your preferred dates to enquire about availability. Please note that private cooking schools are held in your villa so a suitable kitchen is required.